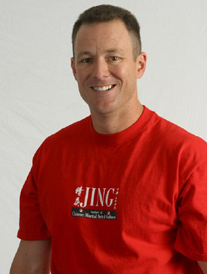 JING Institute of Chinese Martial Arts & Culture - Class Information: your resource for San Diego Kungfu, Wushu, Tai Chi, Wing Chun, and Bujinkan! Pete was born in Derby, England in 1965 and immigrated to the United States when he was 2. He has always had a passion for sports playing football, basketball, baseball, golf, tennis as a youth. His passion for competitive challenges evolved into being selected in the first round in three separate professional baseball drafts (Winter 84, Spring 85, Summer 86). Pete played six seasons of professional baseball in the San Diego Padres organization four of which were played at the triple A level. After retiring from Professional baseball in 1991 he met Master Rene Ng. At that time he fell in love with the Wing Chun system and has been a student of Master Ng's ever since. Pete was a diligent student training 5 days a week and become immersed in the art. In 1996, when Master Ng moved to San Francisco to pursue vocational opportunities, Pete assumed all teaching responsibilities of the San Diego Wing Chun Kung Fu Club. Master Ng returned to San Diego in 1999 to assume running the school again. After taking a two year sabbatical for personal reasons, Pete returned to training and has been actively teaching ever since. Pete is a very laid back but extremely focused teacher. His teaching style is very informal. In fact, informal is the traditional approach for the wing Chun training. Bravado and bombastic claims are the antithesis of his philosophy. What people say is unimportant, what people do is. Good practitioners are developed over time. There are no secrets and there are no short cuts. The only way to get better is to practice. Pete is very open to ideas and new challenges. As Master Ng once said, the teacher learns as much from the student as the student learns from the teacher. Wing Chun is about pursuing the truth - the truth of one'sdedication and the truth of the fighting spirit. A big believer in cross training, Pete has also studied other martial arts including, Karate, Hung Gar and Brazilian Jujitsu. 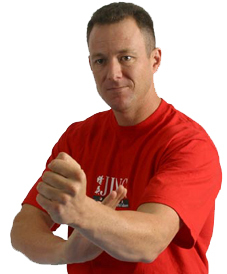 Pete has taken his Wing Chun mind into other arenas where he pursues guitar and physical fitness challenges daily. An early riser, Pete believes that hard work, discipline, an indomitable spirit, focused attention and good humor are important attributes for success in both personal endeavors and life. Wing Chun is not about fighting, it's about living. If you live to train then you are training to live life to the fullest? 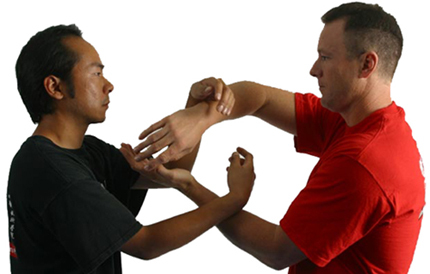 Learn more about Wing Chun, its history, and its philosophy.